Susan LaFlesche Picotte, a Nebraska doctor and and reformer, had credentials that wowed me and reminded of Susan B. Anthony. Google saluted her yesterday; click here to what Wikipedia says. 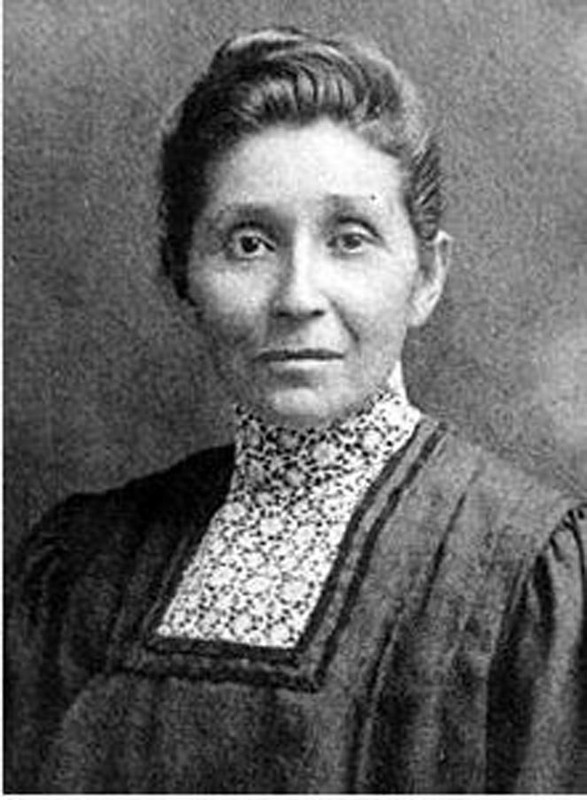 Susan LaFlesche Picotte was born at the close of the Civil War, the same year that Susan Anthony first visited her brother Daniel in Kansas. LaFleshe’s heritage, part French and part Omaha Indian, allowed her to grow up in a household that was both biracial and bilingual. This set the stage for her extensive education and later advocacy on the part of Native Americans. By 1865, many of Anthony’s pioneering suffragists had preceded LaFlesche through gates of higher education. For example, Elizabeth Blackwell became the first woman doctor in the U.S., graduating Geneva Medical College in 1849. As a student Blackwell faced rejection from most of the students and faculty. Blackwell established the New York Infirmary, where woman physicians could practice, and in 1850 wrote Medicine as a Profession for Women. In 1886, LaFlesche enrolled in medical school at Woman’s Medical College of Pennsylvania (founded in 1850 in Philadelphia). Supported by abolitionists and Quakers, it has an interesting history all its own. How difficult was it for LaFlesche, a half-French, half-Omaha woman from the frontier, to mingle with eastern white women? Despite her challenges, she graduated top of her class and began a life of medical service and reform among Native Americans. Not only did she mount hygeine campaigns against the medical scourges of her era (cholera and tuberculosis, for example), but she also took on the issues of land rights and inheritances for Native Americans. This was a task fraught with much bureaucratic red tape. LaFlesche, after marrying the alcoholic Henry Picotte, followed previous female reformers in their campaign against alcohol. It is easy to assume that Susan LaFlesche Picotte stood on the shoulders of white reformers like Anthony and Blackwell. But the story is more complex than that. Unfortunately, I don’t know enough about Native American history to understand all the nuances. I do know that Daniel Read Anthony (Susan’s brother) and many other white land speculators in Kansas and Nebraska rushed to buy prime land that the U.S. government “made available” from the Delaware Indians. Whether those transactions were equitable for the Delawares I leave to other historians. I can also assert that the Anthonys’ quest for universal suffrage, which included rights for women and blacks, turned a blind eye to the concerns of Native Americans. Miss LaFlesche, born halfway through Miss Anthony’s life, no doubt benefited from the efforts of earlier reformers. But she went on to cross bridges that her foremothers never imagined. This entry was posted in Antislavery, Contemporaries of Anthonys, Daniel Read Anthony, Kansas, Quakers, Susan B. Anthony, temperance, Women's rights and tagged abolition, Kansas, Susan B. Anthony, Susan LaFlesche Picotte, women's rights by Jeanne. Bookmark the permalink.